In the first instance and despite the brazen insinuations of his supporters, Jonathan Pollard is not a Jewish martyr. He is a convicted espionage agent who spied on his country for both Israel and Pakistan (! )—a spy, moreover, who got paid for his work. His professional career, then, reeks of infamy and is suffused with depravity. It is true that Pollard has achieved the status of hero for some in Israel. But you should know exactly who these people are: They are professional victims, mostly brutal themselves, who originate in the ultra-nationalist and religious right. They are insatiable. And they want America to be Israel's patsy. They are also not democrats in any sense of the word, and their call for "justice" in this case is probably the only instance in which they have been moved by a sense of mercy for pretty much anyone. 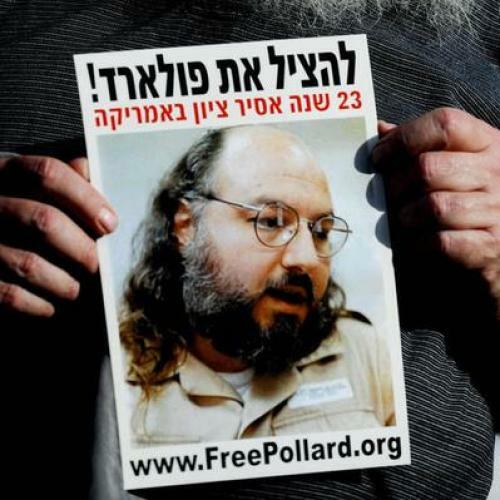 If you release Pollard, you would be encouraging the kind of ideological blackmail that has paralyzed Israeli politics not just in the ongoing diplomatic torpor (in which I believe, as you well know, that it is not Jerusalem at fault) but through the general assault on civil liberties and freedoms that make the Jewish state so distinctive in the Middle East. I know, Mr. President, that you are not responsible for the health of Israel's democracy. But you will find that bending to this demand for ransom will only encourage the extortionists in Israel to attempt to hijack grand politics in an ever grander manner. The tacticians on the Israeli far-right argue (dishonestly in my view) that, if you give Pollard to Prime Minister Netanyahu, Bibi will be less constrained and constricted in his diplomacy. Some journalists and commentators have bought this stratagem. (I am surprised to read that also Barney Frank is in this camp.) This is a fundamental and, for some, a deliberate misreading of the dynamics of Israeli statecraft. One hand does not wash the other in Jerusalem, at least not for more than a day or two. Actually, I was relieved to read that your press counselor had said that Pollard was not on your mind. But, Mr. President, I understand that it might just be easier to let the culprit go. That's one way to stop the incessant special pleading. My imagination turns a bit lurid. You release Pollard. He flies to Israel on El Al. He is greeted by thousands and thousands of triumphant hustlers in the streets of Jerusalem. They have pulled one over on you. Over America, too. And over American Jews, especially. They are dancing the hora, of course, ecstatic. There's an article in Friday's Jerusalem Post about a relatively new book, Grace: How Religion Divides and Unites Us by my Harvard colleague Robert D. Putnam and David E. Campbell. (Putnam is also the author of the highly provocative Bowling Alone: The Collapse and Revival of American Community.) Grace has good news in it for the Jews of the United States. They are very much respected by their fellow Americans ... and also much liked. Or, as Putnam told the Post, "the most popular religion in America are Jews" The author does not believe that this is a fragile standing. Putnam offers a piece of anecdotal evidence to illustrate just how positively Jews are allegedly viewed in the U.S. at the moment. According to the processor, people signing up for dating websites who say they are Jewish are more sought after than others. "If you say you are Jewish, you get more date offers than less," he said. I haven't read the new book. So I don't know how Israel fits into the equation. My estimate, however, is that Israel's place in the American mind is quite secure. No, it is not persuaded by the tremblings of some liberal Jewish (and a few non-Jewish) journalists who seem to believe—as perhaps you do, too, Mr. President—that the arc of the future will be drawn in the world of Islam. So American solidarity with Israel is quite firm. But it is reckless to tempt the goddesses. Pollard is the single repellent figure in this history. It would be a disservice to both Zion and what our forefathers called the "new American Zion" to appear to cleanse this viper. Make no mistake about this: Your clemency for Pollard will be widely seen as a cleansing.